You are a business professional who needs to lead both video conferences and live presentations, You are working on your TED TALK, You are getting ready to pitch an idea or proposal, You are an author who needs to speak and read your book in public, You are a filmmaker who needs to speak on Q&A panels. Ilyana wants to work with YOU. She has created a system of coaching based on the process she went through – with her own coach and reel producer, and from currently being a professional voice-over performer. Ilyana’s coaching students have gotten voice-over representation from their reels and are out there auditioning and booking! Singer for film soundtracks, commercial jingles, and live shows. Voice-over actor for television, film, internet, radio, video games, and promos. Heidi Marshall Studio (Guest Teacher- Voice Over and Art of The Voice Workshops). Ilyana understands the Voice-Over Marketplace, so gives you a Voice-Over Audition Technique and Script work, as well as Speaking Voice Exploration that will benefit all your acting work. She will help you find your voice niche and where you would be marketable in the voice-over marketplace. Her current experience as a voice-over actor in the business will give you invaluable and very current information! She will help you choose the right scripts for your voice and the reel. Finding the right scripts is a big part of making a great reel. 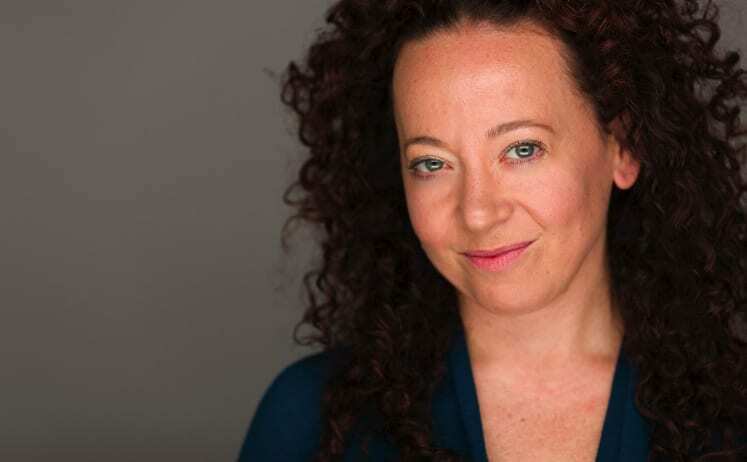 Ilyana will provide you direction for each script and the kind of specifications for each spot that would both show off your voice and show your range. You and Ilyana will practice these directions in your sessions together. She will also help you tune your own ear to your voice’s many colors and tones. This will allow you to gain more confidence in your audition reads. She will get you ready to record your reel so that when your recording session date arrives you are confident, relaxed and ready to perform! You will also be provided with a superior reel. On recording day, Ilyana will coach you through the recording process. The voice-overs prepared together will be recorded, then edited and then award-winning composer/producer, James Harrell will create a reel with his original music. You receive a demo with Broadcast quality spots! FREE 20 minute phone consultation with Ilyana, before your first session, where you can share your goals with her so together you can make a plan to accomplish them. There is a minimum of five coaching sessions needed before recording a reel. Please keep in mind that some people require more sessions than five to achieve their goal. Coaching sessions can be done online via Skype or in a studio located in Manhattan. And all demo recordings are done in her studio located in New Jersey. Contact Ilyana [ilyanakadushin@gmail.com] today to set up your free consultation and first session. Performance coaching is an integration of public speaking, acting and life coaching. It is best done in a one on one setting; where the ideas can be tailored to your unique situation. In our lives we are all performers. Learning the skills of performing leads to greater success in all these settings. Performance Coaching is about cultivating an internal flexibility of your mind and your emotional responses to things that go on around you. How? Examining your communication skills and thought patterns. Sometimes fear can seize our main mechanism for self-expression and creativity, our VOICE. Ilyana’s coaching guides you to discover new powerful places in your voice. This allows you to be more persistent, courageous, and deeply creative when approaching your voice in your workplace. Will gives you very usable tools and a new perspective on how to approach your work, how to listen more, take in what others are saying, and respond and speak from a thoughtful, connected and passionate place.